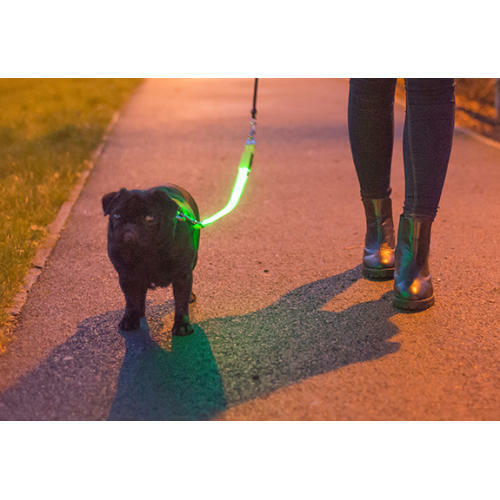 Ancol's Hi Vis Lead Attachment is simple to use with almost any collar and lead to provide instant illumination to keep your dog safe and seen. With two settings - either flashing or steady light to alert drivers and pedestrians to your and your dog's whereabouts. Rechargeable through USB, just 30 minutes charging will give 4 hours of light. The flashing strip measures 30cm.